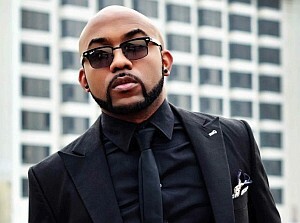 BANKY W, one of Nigeria’s top entertainers, caused a stir yesterday at an interview with IK Osakioduwa of High Lites With IK, when he declared that ‘I can cook (and therefore do not need a woman who can cook)’. He stated that, ‘it’s more important for me that my wife has a career than she is a cook…I can always hire a cook. She must be passionate about something’. In the interview, the amiable rapper and producer stated that just like any ‘regular’ guy, all he wants in his woman is someone who is attractive, God fearing and has love for family and friends. celebrity, noting that ‘I need her to inspire me’. He lamented the pressure put on young people to get married, jokingly asking if such pressure is also put on older people to die soon. Banky W, who recently forayed into acting and featured in a movie directed by Kemi Adetiba also expressed his hope to open a restaurant in the near future. He also hopes to get more involved in movies production.